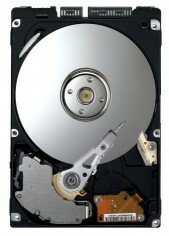 A hard disk failure is one of the most common laptop computer hardware problems. Generally speaking a hard disk failure that causes potential data loss of can be a result of firmware corruption, electronic failure, logical corruption or mechanical failure. If it is an electronic failure, the hard disk will be dead and will not be recognised by the laptop and will not spin up. The hard drive will make ticking, clicking or knocking sound in case of a mechanical failure. The noise indicates that the read/write head mechanism is incorrectly touching the surface of the drive. Laptop slowdowns can often be due to viruses and spyware attacks. At Creative IT, we are time and again faced with a number of issues related to laptop hard drives. Our experienced team of technicians and data recovery experts can check the data on your hard disk drive for potential problems and fix them accordingly. With good experience, data recovery specialists and Class 100 clean room facility, we provide standard and express hard drive data recovery services for all Dell, Toshiba, Apple, Asus, IBM, HP, Gateway, Fujitsu, Lenovo, Sony, Compaq, Acer, Alienware, Sager, Panasonic, Packard Bell, Siemens, Advent and eMachines notebook models. Creative IT, based in London, offers quick, secure and efficient laptop hard drive troubleshooting and laptop hard drive data recovery and data transfer services from all hard drive failure and data loss situations. Please send us an email to info@creativeit.tv or call us on 020 7237 6805. Our repair centre is open Monday to Saturday from 0900 till 1800.